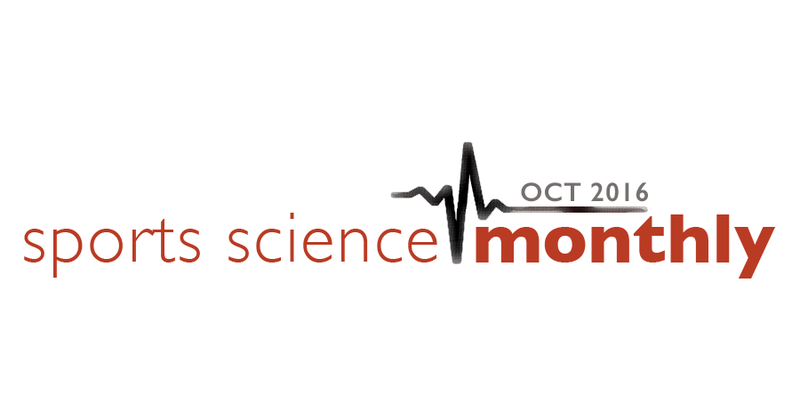 As always, Sports Science Monthly is a benefit to HMMR Plus Members. The first overview below is free to everyone, but to read more sign up now. To get an idea of what Sports Science Monthly is all about, our April and May editions are available in their entirety for free. Quick Summary: Our gut bacteria both affect and are affected by exercise; the greater the diversity of these bacteria, generally the better the health of the athlete – and it might also have a performance enhancing effect. Whilst I might always be saying that the brain is the next big thing in exercise science, the bacteria in our digestive tract, called the microbiome, is likely to be the next big thing in sports nutrition. There has been momentum building in this field for a while now and early research on the microbiome in humans is suggesting that it plays a role in a number of traits, including obesity. Indeed, studies conducted on mice show that obesity can be induced by transplanting bacteria from a fat mouse into a thin mouse, and reversed by implanting bacteria from a thin mouse into a fat mouse. While interesting and a source for further research, I’m not 100% sure how usable this information is right now – if you’re obese, you already know you are, so a microbiome test seems like an unnecessary measure; similarly, if you want to lose weight, you can undertake diet and exercise, instead of having a microbiome transplant (which entails swallowing tablets of freeze dried faecal matter). It seems like a eating a wide range of foods leads to microbiome diversity, which is associated with better health outcomes – so right now the general advice would be to eat a varied diet. The is essentially the advice given by UK microbiome research Tim Spector in his book The Diet Myth. Of course in a sports science article we’re interested in how exercise might affect our microbiome, or indeed vice versa – how might our microbiome affect exercise performance. This is a pretty new and emerging field, but earlier this year a http://www.sciencedirect.com/science/article/pii/S2095254616300163″>review article was published, looking at the interplay between endurance exercise and gut microbiota with a focus on papers published from 2007 onwards. Given that the microbiome may affect aspects such as energy metabolism, inflammation, hydration, and oxidative stress, information on how exercise affects it would be useful, especially with regards to recovery speeds and post-exercise nutrition. So what did the review authors find? Firstly, exercise increases the diversity within the biome. In a group of professional rugby players, the microbiota diversity was higher than in a control group – and remember, increased diversity is associated with better overall health. In human studies, it’s not clear which comes first; increased diversity leading to better exercise performance, or those that perform better and exercise have a great diversity; however, animal studies tend to suggest that it is exercise that drives this diversity. Again, in mice, those with good levels of bacteria had greater antioxidant enzyme activity than those without bacteria – and could also swim for longer in a time to exhaustion test. This suggests that the microbiome could have a positive effect on both recovery from exercise and exercise performance, although we do seem to still be waiting on specific recommendations regarding what to do here. The microbiota could also influence nutrient availability during exercise. The gut bacteria help to break down carbohydrates, providing the fuel required for exercise. The microbiota also play a role in hormone and neurotransmitter release. From a human health perspective, one of these hormones is leptin, the hormone that indicates satiety after eating and potentially goes a bit haywire in obese individuals. Again, though, the research here is primarily in mice, and it can generally be summed up by “eating a wide range of foods increases diversity, which likely improves performance”. Another area where the microbiota might have a role to play is that of immunity. If you can remember, a few months back in this column I looked at a study indicating that probiotic use could improve immunity in athletes involved in intense exercise. As athletes may be more prone to illness due to exercise-induced immunosuppression and gut bacteria might be able to offset or reduce this, it seems like a field worth exploring. Individuals with greater microbial diversity appear to have lower levels of inflammation and better buffering ability of oxidative stress, which in theory should reduce the chances of illness and improve recovery. So that’s the theory behind the need to investigate the microbiota, but as I’ve mentioned a number of times, actual intervention studies in athletes – the way we can see if something actually works – are not common, and mostly limited to the exercise immunity field. Right now, the advice for athletes would be that it is probably worthwhile to consume a probiotic, which have been tested with success in athletes. A focus on foods with a prebiotic effect, such as those highest in polyphenols (such as dark chocolate, berries, and red wine) will increase biota diversity, as will foods such as blue cheese, as well as fermented foods such as sauerkraut and kimchi. Eating a varied diet high in vegetables is also a good idea, and it’s perhaps best to stay away from dietary extremes such as low-carb high-fat (LCHF) or a very high carbohydrate diet, which can lead to a loss of variety. That is more or less the state of the advice that can be given right now. However, as this field progresses, I’m sure that much more individualised advice will be able to be given – so watch this space.